Where do you go when you’re looking to escape the everyday hustle and grind to relax and release some steam? You go to your happy place. 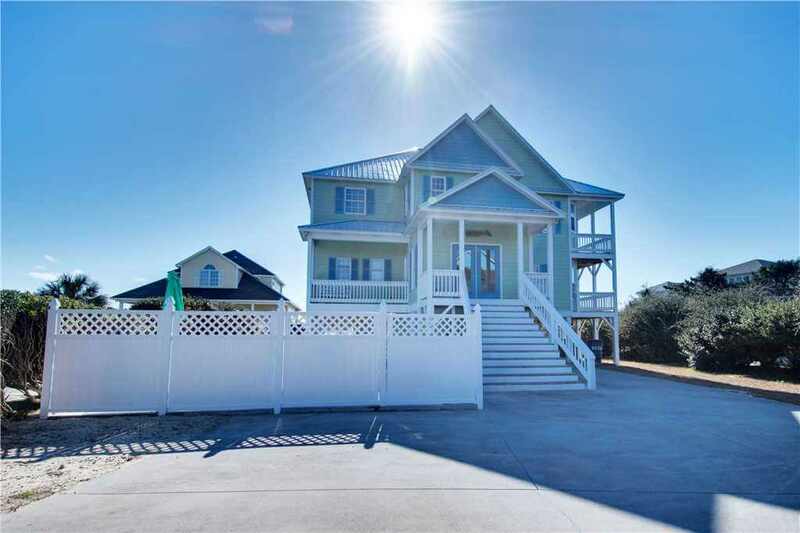 Or in this case, you can visit Emerald Isle for a vacation getaway. 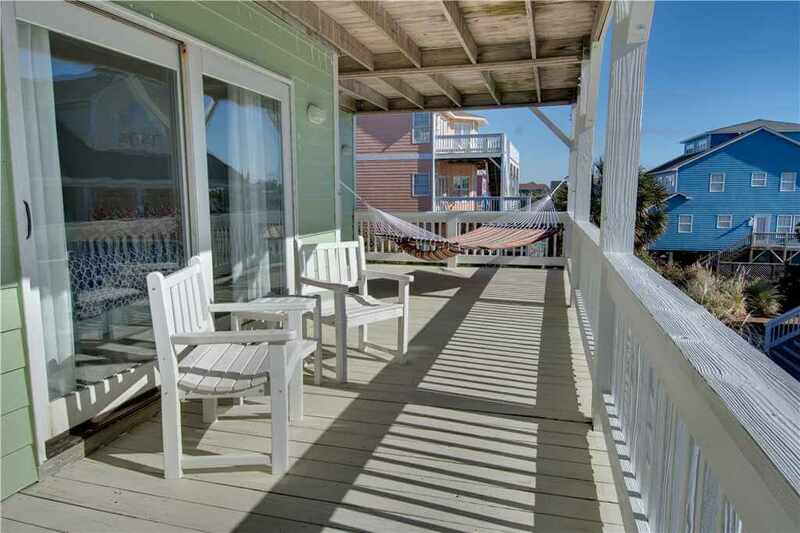 This week’s featured property, My Happy Place, is the perfect rental for those looking for plenty of space, comfort and walking distance to one of America’s most exquisite beaches. 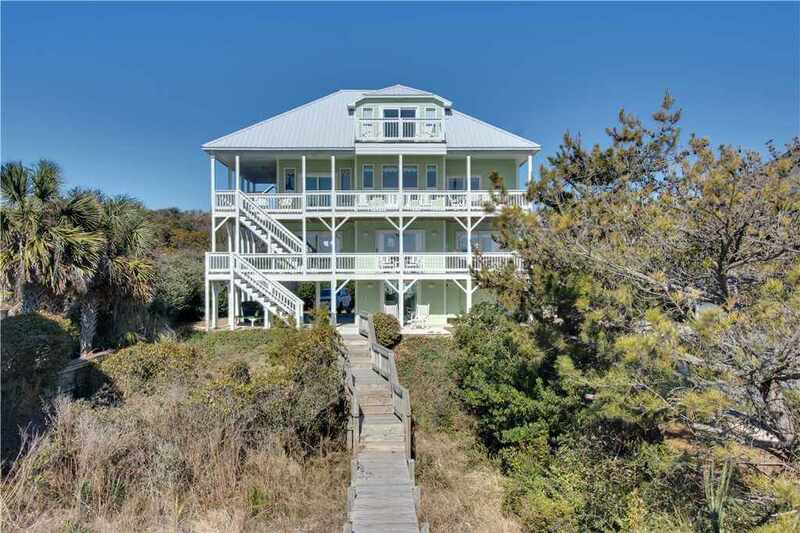 My Happy Place is an Oceanfront Cottage with five bedrooms and five bathrooms, with a total of seven sleeping quarters. 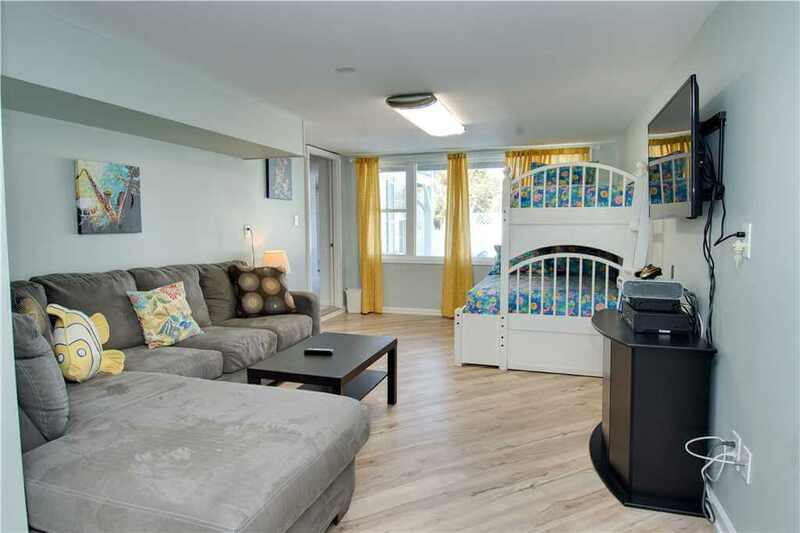 There are two king-size beds, four queen-size beds, and a bunk bed with a full and twin bed. 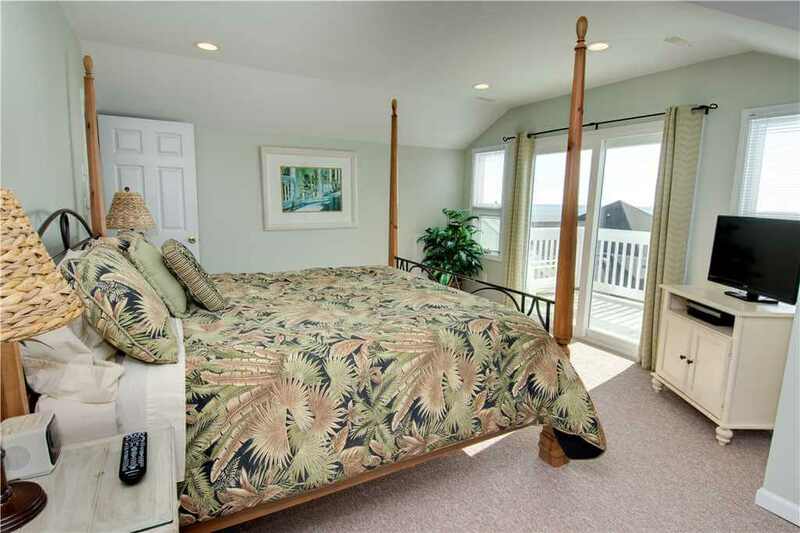 The master bedroom suite is located on the fourth floor and has a king-size bed and private balcony access with sweeping views of the coast. Recessed lighting in this room is soothing and helps illuminate a sitting area. The suite also has its own bathroom with a large soaking tub and spacious shower. The other bedrooms have balcony access on either the second or third floor and all have large windows allowing natural light in. 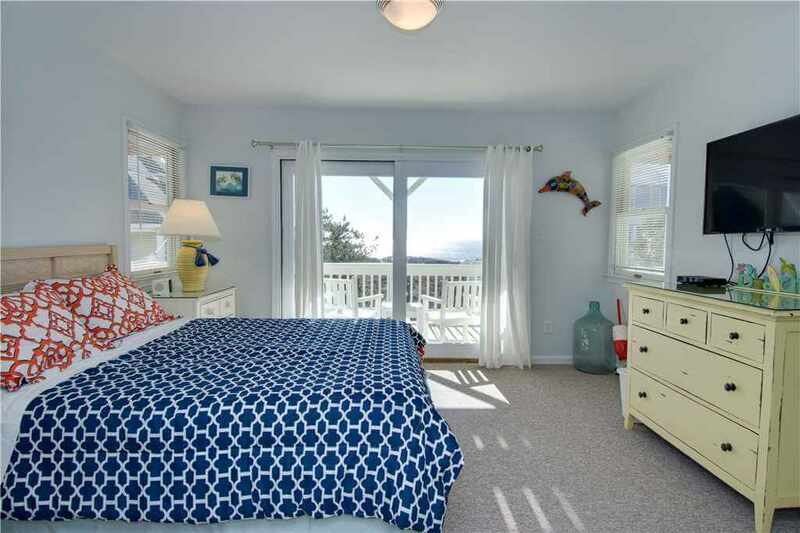 Lightly colored walls in the bedrooms are both soothing and tranquil and help accent the coastal decorations in the rooms. For more convenience, three of the bedrooms, aside from the master bedroom suite, have their own private bathrooms and every bedroom has a flat screen HD television. Another reason this property will be your happy place are the impressive common places located on the second floor. 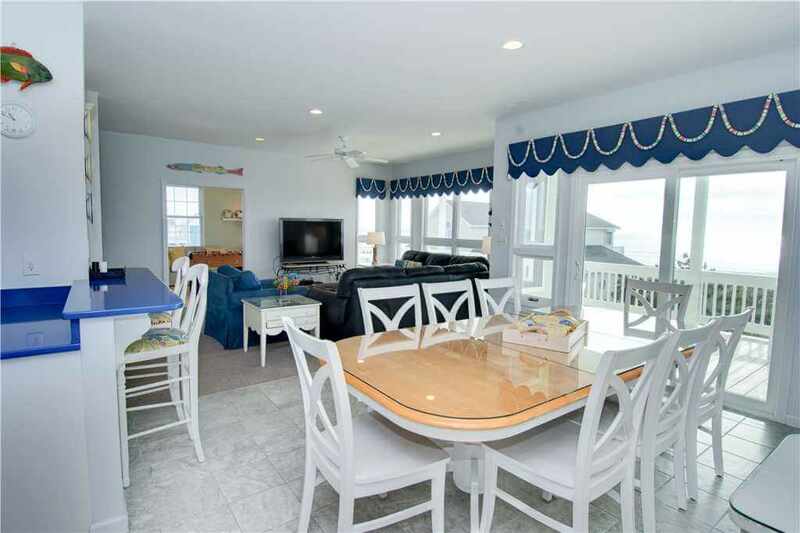 The kitchen, living and dining room boast an open concept with balcony access on the second floor. With two leather sofas and an oversized chair, the living room is inviting and has a large flat screen TV with a DVD player. 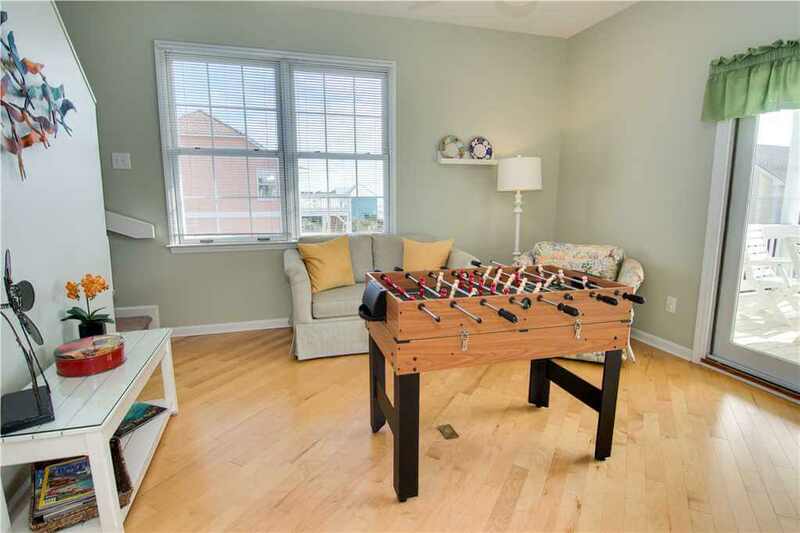 A den off of the living room has comfortable seating area and a foosball table. Two tables have ample seating for 15 guests in the dining room and the breakfast nook off the kitchen. Another picnic table outside on the second-floor balcony has seating for six and looks out on the dunes and My Happy Place’s boardwalk to the beach. 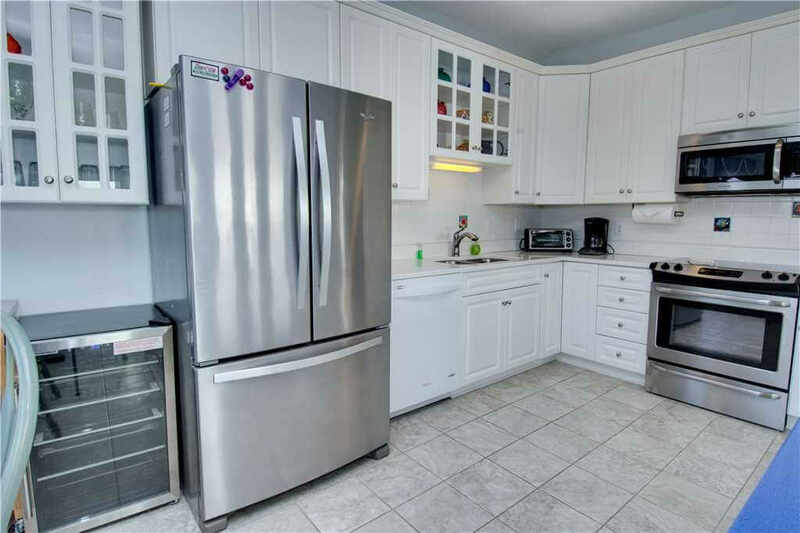 In the kitchen, you’ll find stainless steel appliances including a large French door fridge with drawer freezer and a glass top range. And keep your favorite beverages cool and on display with the glass door beverage refrigerator. 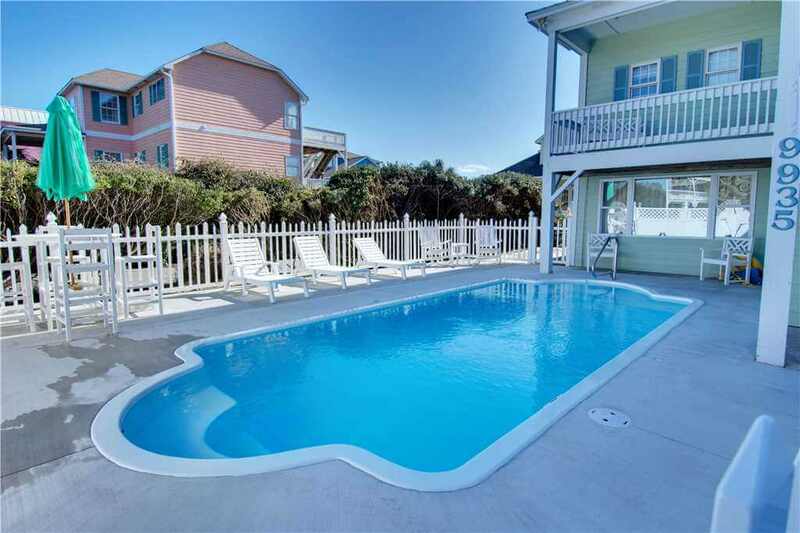 Other amenities this property has includes Wi-Fi Internet access, Sand Castle Club Linen Service with beds made and has a washer and dryer if you need to do some laundry while you’re here. 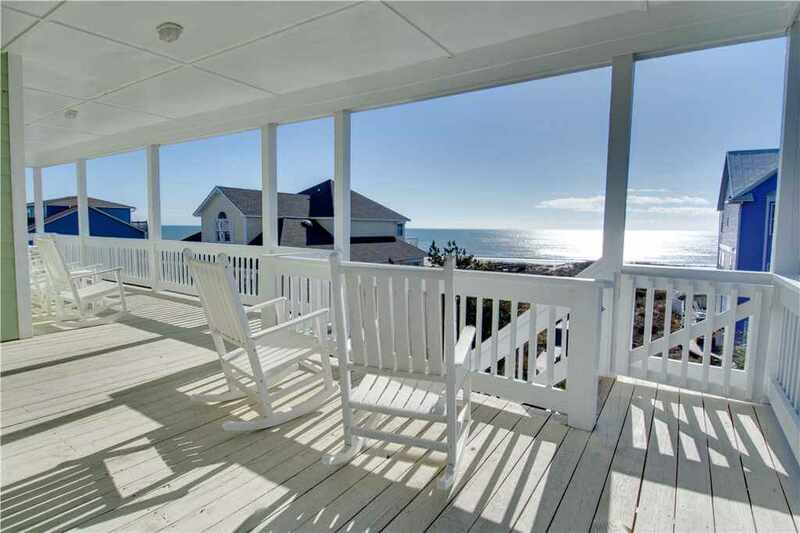 This oceanfront cottage is just as exciting outside as it is inside, and it starts with the backyard. 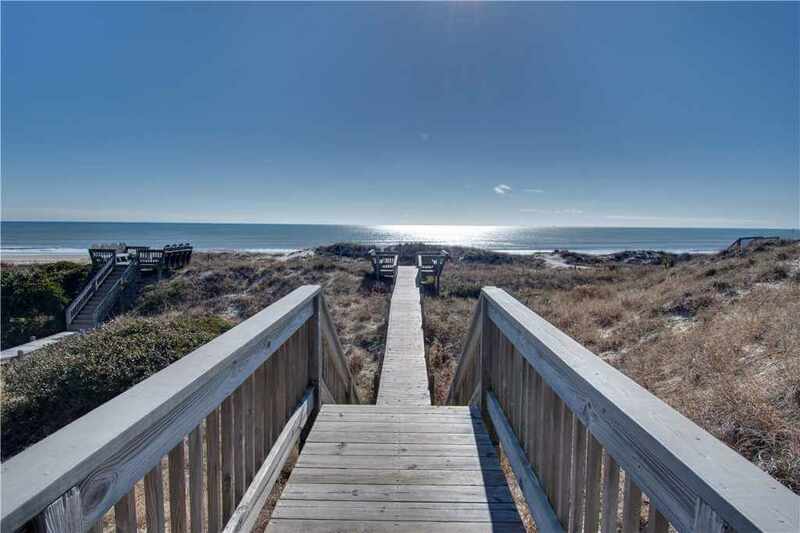 A private boardwalk puts the beach just steps away from the cottage and along the way, you’ll find a seated area with the dunes as a backdrop. Complete with lounging furniture, My Happy Place also has a private pool with a volleyball net for competitive games and non-stop fun. The neighborhood around the cottage also has some extra amenities including a community pool with a cabana and a playground. The Spinnaker’s Landing neighborhood dock also is a good spot to check out the Bogue Sound from and is easily accessible for kayaking, fishing and bird watching. 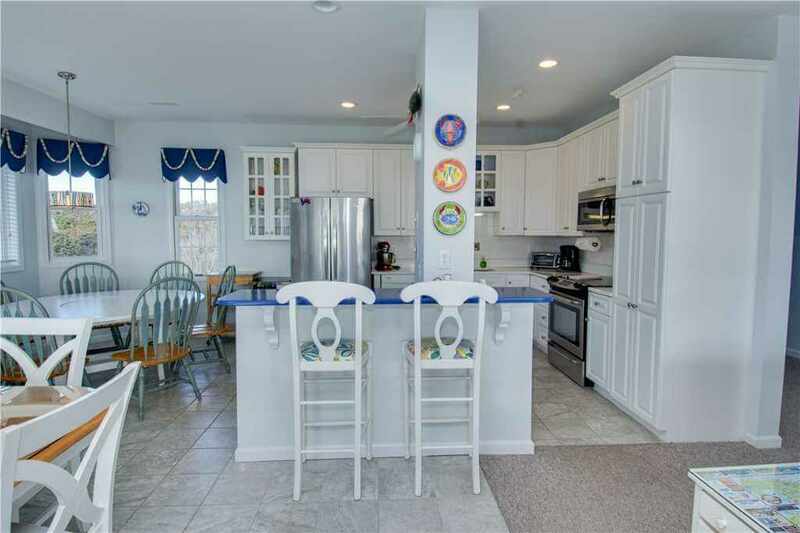 This property is also just minutes from the heart of Emerald Isle where you’ll find charming local restaurants and unique shopping and souvenir stores.  Get ready to find your happy place during your next vacation at My Happy Place. 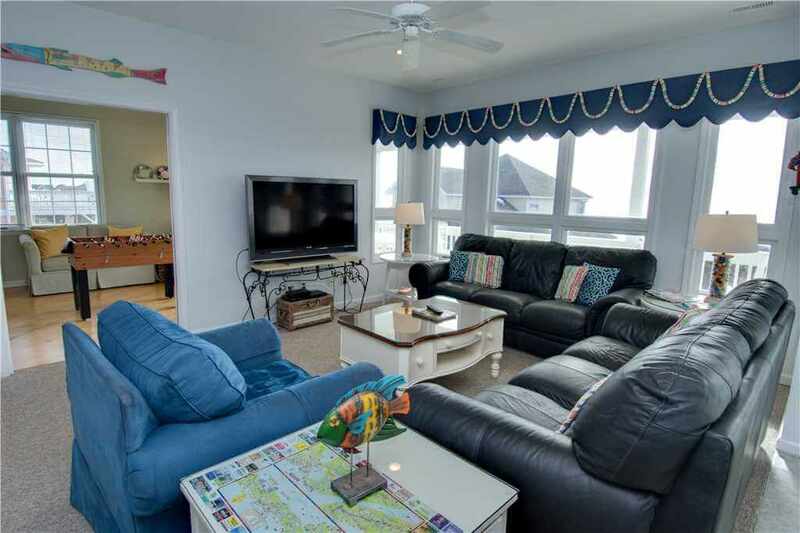 This oceanfront cottage also is pet-friendly, so you can bring your four-legged friends, and has a Spring Savings Discount. Click here to check My Happy Place’s availability and here to view more photos!